A quiet period during the holidays as I try to catch up some longer writing projects I have due. In the meantime, I have a new book review in my institutional home’s journal, the RUSI Journal, this one of Jeremy Shapiro’s interesting new book The Terrorist’s Dilemma: Managing Violent Covert Organizations which focuses on bureaucracy in terrorist networks. It comes just as AP publishes a whole series of documents online found in Mali detailing al Qaeda in the Islamic Maghreb’s internal corporate structure – very much illustrating many of Shapiro’s points. The review can be found here. I also realize I never published links to other book reviews I have done for the RUSI Journal. Earlier in the year, I did one about Stig Jarle Hansen’s book Al Shabaab in Somalia: The History and Ideology of a Militant Islamist Group, 2005-2012. That review can be found here. A very detailed book, which seems to be first of two he did for Hurst. And finally, I did a review essay of China going out looking at China’s Silent Army: The Pioneers, Traders, Fixers and Workers who are remaking the world in Beijing’s image and The Chinese Question in Central Asia: Domestic Order, Social Change, and the Chinese Factor. Two very different co-authored books – one more journalistic than the other (China’s Silent Army), but both interesting in different ways. The review essay can be found here. Given they are all paywalled, I cannot simply post them here, but if you get in touch I can try to help. My latest piece for CTC Sentinel has finally landed in timely fashion, about Bilal el Berjawi a British-Lebanese man who ended up connected with al Qaeda and al Shabaab in Somalia. Quite apt in the wake of events in Nairobi, about which I have done a few media hits. More on that later. I was on al Jazeera English’s channel talking about trouble in Sinai and Euronews on foreign fighters going to Syria. On September 21, 2013, al-Shabab militants attacked an upscale shopping mall in Nairobi, the Kenyan capital. The brazen operation comes in the aftermath of al-Shabab leader Ahmed “Mukhtar Abu al-Zubayr” Godane’s consolidation of power. In June, Godane swept aside a raft of senior leaders in the group. His power grab marked a watershed event in a period of dramatic turmoil for al-Shabab. One individual, Bilal al-Berjawi, whose death may have come as part of an early expression of this schism, returned to public attention when al-Shabab published a number of videos and materials celebrating him in early 2013. A British citizen who was drawn to Somalia before al-Shabab formally existed, he rose through the ranks of al-Shabab and the foreign fighter cell linked to al-Qa`ida to become a figure who was reportedly second only to the head of al-Qa`ida’s East Africa operations, Fazul Abdullah Mohammad (also known as Fadil Harun). Al-Berjawi’s death in January 2012 reportedly triggered tensions within al-Shabab, culminating in Godane’s takeover earlier this year. Yet al-Shabab emphasized that al-Berjawi’s death was the product of Western intelligence efforts, rather than an internal purge. The accuracy of al-Shabab’s claims in the videos remain to be proven, but the releases provide an interesting view on current developments within al-Shabab as well as illuminating al-Berjawi’s role within the group and his narrative as an epigraph for foreigners drawn to al-Shabab. This article offers an in-depth look into al-Berjawi’s life, as well as some thoughts on how he may have become enmeshed within the contingent of al-Shabab that has been sidelined. Al-Berjawi’s death, the reported death of American al-Shabab fighter Omar Hammami alongside another Briton, the death of long-time al-Shabab leader Ibrahim al-Afghani, the disappearance of Mukhtar Robow, and Hassan Dahir Aweys’ decision to turn himself in to authorities all point to a change within the organization that seems to have been punctuated by the ambitious attack in Nairobi. The ultimate result is still developing, but al-Berjawi’s rise and fall provides a useful window with which to look at the role of foreigners in the conflict in Somalia. Bilal al-Berjawi was a Lebanon-born, British-educated young man also known as Abu Hafsa. Born in Beirut in September 1984, his parents brought him to the United Kingdom when he was a baby. Raised in west London, he lived as a young man near an Egyptian family whose son, Mohammed Sakr, became his close friend. Characterized as “two peas in a pod” by fellow Somalia-based foreign jihadist Omar Hammami, al-Berjawi’s and Sakr’s stories seem closely intertwined. Sakr’s family reported that the two men met as boys when Sakr was 12-years-old, and then lived adjacent to each other. Most references to the men in jihadist materials mention them as a pair. In a martyrdom notice for al-Berjawi, al-Shabab said that he was from west London, while the BBC identified him as being from St. Johns Wood in the northwest of the city. A community worker who knew al-Berjawi in his teenage years said that he was involved in teenage gang violence in west London, specifically in clashes between Irish gangs and Muslim youth in the area. He was not particularly religious, although he appeared to be a contemplative young man. He had a wife of Somali origin who he married when he was 19- or 20-years-old, and a child who was conceived after he had risen up the ranks of al-Qa`ida’s East Africa cell. According to a longer martyrdom notice published almost a year after his death as part of a series called “Biographies of the Flags of the Martyrs in East Africa,” al-Berjawi was trained by al-Qa`ida operatives Fazul Abdullah Mohammad and Salah Ali Salah Nabhan when he first arrived in Somalia in 2006. Under their tutelage, he seems to have flourished, although when the Islamic Courts Union (ICU) fled as a result of the Ethiopian invasion, al-Berjawi returned to the United Kingdom to fundraise and find ways to send money back to East Africa. Al-Berjawi’s martyr biography praised him in this role, calling him “brilliant” and able to set up many profitable projects. According to his martyrdom video released by al-Shabab’s media wing, after the release of his written biography, he decided to travel back to Lebanon from London. By October 2009, the men decided to try to return to Somalia, and this time they were able to evade detection and slip out of the United Kingdom along with a third man. According to the “Biographies of the Flags of the Martyrs in East Africa,” they had to travel through a number of countries before they arrived in Somalia. In November, they were reported by Ugandan authorities as being at the heart of a manhunt for individuals allegedly plotting terrorist acts in the country. The two were identified alongside a third British national named Walla Eldin Abdel Rahman—a name that corresponds with British court documents. Al-Berjawi, in particular, was identified as having three passports with him. According to his martyr biography, having returned to Baidoa in Somalia, al-Berjawi joined a camp and trained diligently alongside others, undertaking “difficult assignments” despite being reported as having a stomach condition. He was described as being supportive of his colleagues and a lover of battles. As time passed, he seemed to have assumed greater responsibilities, helping to supply forces (with items such as clothing and weapons) and to take on responsibility for tending to families left behind by fallen warriors. In early 2010, Mohammed Sakr called his parents from Somalia to reassure them that he was doing well. In July 2010, a cell linked to al-Shabab conducted a double suicide bombing in Kampala, Uganda, on two bars where people watched the soccer World Cup final. The attack claimed approximately 74 lives. According to one report in the Ugandan press, al-Berjawi, Sakr and Rahman were detected entering the country in July 2010, although it remains unclear the exact role that they played, if any, in the Kampala attack. In June 2011, a drone strike that may have been targeting senior al-Shabab figure Ibrahim al-Afghani supposedly injured al-Berjawi. This came two weeks after Fazul took a wrong turn down a road in Mogadishu and drove straight into a Somali government roadblock. According to al-Shabab’s biography of Fazul, in the wake of his death concerns started to mount about the circumstances involved, and a number of al-Shabab commanders, alongside al-Berjawi, Sakr and others, fled the country. In this version of events, as the group fled Somalia, they were targeted by the drone that injured al-Berjawi. After being injured in the drone strike, al-Berjawi snuck into Kenya to recuperate with Sakr’s assistance. It is unclear at what point al-Berjawi returned to Somalia, but by early 2012 he seems to have been back in the country and is described in the regional press as having assumed Fazul’s position as the leader of al-Qa`ida in Somalia—although given he had been injured so soon after Fazul’s death, it is not clear how much he would have been able to achieve in this role. 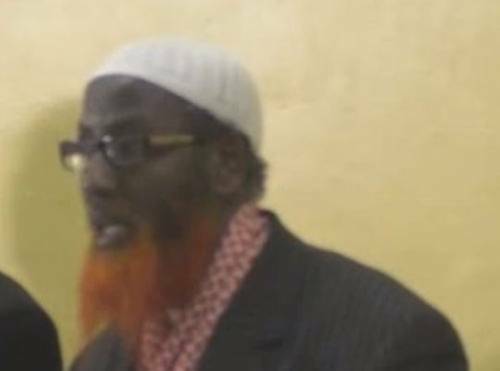 Nevertheless, this would have made him a target for foreign intelligence services and, according to a video confession produced by al-Shabab and released by al-Kataib that was posted in May 2013 seemingly to affirm the narrative behind al-Berjawi’s death, it is at this time that unspecified foreign intelligence services allegedly recruited a young Somali named Isaac Omar Hassan. According to Hassan’s confession to al-Shabab, he was recruited by foreign intelligence services to help them track al-Berjawi so that he could be killed in a drone strike. Hassan said that al-Berjawi was the first person that the handlers asked him about. In Hassan’s telling, he recruited a friend, Yasin Osman Ahmed, who was to drive al-Berjawi that day. Al-Berjawi allegedly called Ahmed on the morning of January 21, 2012, at around 9 or 10 AM as he wanted to go to the market to purchase a firearm. Later, according to Hassan, al-Berjawi was driving to meet with the “amir of the mujahidin” when they stopped to make a phone call. It was at this point that the drone found its target, killing al-Berjawi. In Hassan’s confessional, a month later an almost identical scenario played out, but this time with him recruiting a third man called Abdirahman Osman to act as the person who supposedly led the drone to its targets: Mohammed Sakr and another group of foreign fighters. Bilal al-Berjawi’s death seems to have sparked a wave of concern within the community of al-Qa`ida in East Africa and foreigners in al-Shabab. After al-Berjawi death, hundreds of foreign fighters reportedly left Somalia. Shaykh Abuukar Ali Aden, an al-Shabab leader for Lower and Middle Jubba region, told Somalia Report that “yes, it is true that those brothers left us and went to Yemen due to some minor internal misunderstandings amongst ourselves. This started when we lost our brother Bilal al-Berjawi.” An emergency meeting was held almost immediately after al-Berjawi’s death that was attended by al-Shabab leaders Ali Mohamed Rage, Hassan Dahir Aweys, Mukhtar Robow, Omar Hammami, Shaykh Fuad Mohammed Kalaf, and unidentified others. Notably absent was Godane. This seemed to echo another meeting that had been held prior to al-Berjawi’s death in December 2011 when al-Shabab leaders “opposed to Godane” gathered in Baidoa. Concerns seem to have focused around the fact that so many key players in al-Qa`ida’s East Africa cell and the foreign fighter community were being removed from the battlefield in quick succession. The fact that Fazul died in such odd circumstances for a man of his caliber and training, followed by al-Berjawi’s death, all seemed to suggest an internal purge. When Sakr and others were killed a month after al-Berjawi, this sense seemed to harden, with Omar Hammami considering Sakr’s death “a strange incident.” In between al-Berjawi’s and Sakr’s deaths, however, the new leader of al-Qa`ida, Ayman al-Zawahiri, announced al-Shabab’s official merger with the terrorist group. The exact details of this possible leadership dispute remain unclear. Yet the recent executions of Ibrahim al-Afghani and Sheikh Maalim Burhan, the reported death of American Omar Hammami, Hassan Dahir Aweys’ decision to hand himself over to authorities in Mogadishu, and Mukhtar Robow’s abrupt move into hiding all indicate that whatever leadership struggle was underway has now come into the open with Godane emerging victorious. What role al-Berjawi played in this remains unclear, although it seems as though his death may have been a catalyst to precipitate subsequent events. The emergence of the video confessional produced by al-Shabab seems a conscious effort to claim al-Berjawi’s death was solely the product of external intelligence efforts, rather than due to an internal purge. What led Bilal al-Berjawi to fight in Somalia is uncertain. His decision to train in Somalia in 2006 when the ICU was in power suggests he was part of a larger community of London radicals who were drawn to Somalia before al-Shabab emerged as a powerful entity. The fact that he had a Somali wife likely acted as a stimulant to go to Somalia, rather than to Iraq or Afghanistan, which were popular destinations among British Islamists at the time. These individuals were part of the radical scene in London that were drawn by messages advanced by radical preachers who circled around the “Londonistan” community. Al-Berjawi was further connected, at least peripherally, to a group linked to the network that attempted to carry out a terrorist attack on London’s transportation system on July 21, 2005. The links to this cell can be found through an individual mentioned in UK court documents as “J1.” An Ethiopian national born in 1980, J1 reportedly moved to the United Kingdom with his family in 1990 and is currently believed to be fighting deportation to Ethiopia. He was part of a group that attended camps in the United Kingdom run by Mohammed Hamid, an older radical figure who took over responsibilities for the community around Finsbury Park after Abu Hamza al-Masri was taken into custody in 2003. Around a month later, on July 21, 2005, J1 was in telephone contact with Hussain Osman—one of the men responsible for the attempted London bombings that day (also present at Mohammed Hamid’s camp). His role in al-Berjawi’s tale is similar to that with the May 2005 group that went to Somalia. According to court documents, by 2009 J1 was a “significant member of a group of Islamist extremists in the UK” and in this role he provided support for al-Berjawi, Sakr and a third acquaintance when they went to Somalia in late 2009. The narrative around al-Berjawi shows the shifting relationship between al-Shabab and al-Qa`ida’s East Africa cell. His travel to the region in 2006, and then again in 2009, was during the period when jihad in East Africa was of great appeal to Western aspirants seeking jihadist adventures. The emergence of the ICU that at first seemed to emulate the Taliban provided inspiration that was then spurred on with the invasion of Somalia by U.S.-supported Ethiopian forces in 2006. With the withdrawal of Ethiopian forces and the subsequent overstretch by al-Shabab, however, Somalia appears to have become a less welcoming place for foreigners seeking to advance a narrative of global jihad. This is not to say that the jihad in Somalia no longer has its foreign adherents. The elusive Samantha Lewthwaite, the convert wife of July 7, 2005, bomber Jermaine Lindsay, remains at large in East Africa and is accused of being a key figure in al-Shabab cells outside Somalia. Canadian passport holder Mahad Ali Dhore was among those involved in the attack on the Mogadishu Supreme Court in April 2013. Most significantly, al-Shabab claimed that a number of foreign fighters—including Americans—participated in the recent Westgate Mall attack in Nairobi. Yet Somalia has lost some of its luster, something that has been accelerated by the emergence of alternative battlefields like Syria or North Africa as places where young Western jihadist tourists can go. This is a situation that could reverse itself, but until some greater clarity is cast over Godane’s power grab in the organization and the status of al-Shabab, it seems likely that fewer foreigners will be drawn to that battlefield. The life and times of Bilal al-Berjawi offer a window with which to see the waxing and waning appeal of East Africa for Western jihadists. 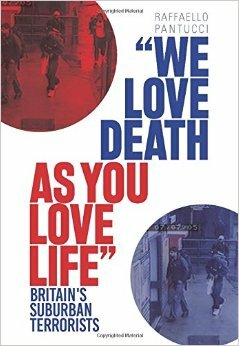 Raffaello Pantucci is a Senior Research Fellow at the Royal United Services Institute (RUSI) and the author of the forthcoming We Love Death As You Love Life: Britain’s Suburban Mujahedeen (Hurst/Columbia University Press). “A Drone Strike Pronounces a Martyr,” al-Shabab, January 21, 2012. Tom Whitehead, Mike Pflanz and Ben Farmer, “British Terror Suspect Linked to ‘White Widow’ Samantha Lewthwaite Reportedly Killed,” Telegraph, September 12, 2013. In fact, it is not clear whether the individual identified in the article was the same Briton killed alongside Hammami, although it seems clear that the kunya identifying him as British was correct (Osama al-Britani). One Ugandan report also gave him the following pseudonyms: Hallway Carpet, Omar Yusuf and Bilal el Berjaour. See Barbara Among, “Police Foil Another Bomb Attack in Kampala,” New Vision, September 25, 2010. An online biography released about al-Berjawi also mentioned he liked to use the name Abu Dujana. Among; Chris Woods, “Parents of British Man Killed by US Drone Blame UK Government,” The Bureau of Investigative Journalism, March 15, 2013. This quote is based on a Twitter conversation between this author and the @abumamerican Twitter handle, April 19, 2013. Omar Hammami is believed to be the owner of that handle. Secunder Kermani, “Drone Victim’s Somalia Visits Probed,” BBC, May 30, 2013. Personal interview, Tam Hussein, community worker who knew al-Berjawi, London, August 2013. For the entire series “Biographies of the Flags of the Martyrs in East Africa,” see http://www.jihadology.net/category/biography-of-the-flags-of-the-martyrs-in-east-africa. See “Biography of the Martyred Figures in East Africa 4: ‘Abd Allah Fadil al-Qamari,’” available on Jihadology.net, which seems to draw on Fazul Mohammad’s own published biography, “War on Islam,” and interviews with individuals like al-Berjawi. “Biography of the Martyred Figures in East Africa 5: Bilal al-Birjawi al-Lubnani (Abu Hafs),” available on Jihadology.net. This video is available at http://www.youtube.com/watch?v=dPQGhZaxD5A&feature=youtu.be. BX v. The Secretary of State for the Home Department, Royal Courts of Justice, 2010. Milton Olupot, “Security Hunts for Somali Terrorists,” New Vision, November 8, 2009. J1 v. The Secretary of State for the Home Department, Royal Courts of Justice, 2013. Elias Biryabarema, “Uganda Bombs Kill 74, Islamists Claim Attack,” Reuters, July 12, 2010. In fact, it is not entirely clear how separate the two organizations were at this point. The al-Qa`ida in East Africa cell seems to have been quite small and largely part of al-Shabab’s community. “Biography of the Martyred Figures in East Africa 4: ‘Abd Allah Fadil al-Qamari,’” available on Jihadology.net. “Answers to the Open Interview with the Mujahid Shaykh [Omar Hammami] Abu Mansur al-Amiriki,’” The Islamic World Issues Study Center, May 2013, available at Jihadology.net. Thomas Joscelyn and Bill Roggio, “Senior Shabaab Commander Rumored to Have Been Killed in Recent Predator Strike,” The Long War Journal, July 9, 2011. “Biography of the Martyred Figures in East Africa 4: ‘Abd Allah Fadil al-Qamari,’” available at Jihadology.net. “Al Qaeda Leader Killed in Somalia Blast,” The Star [Nairobi], January 24, 2012. This confession video was purportedly filmed by al-Shabab. It is worth noting that in the video the group alternates between accusing the CIA or Britain’s MI6 of being responsible for handling Hassan. The video was posted in May 2013 and is available at http://ia600707.us.archive.org/22/items/3d-f7dhrhm-2/SoBeware2_HQ.m4v. Rashid Nuune, “Al Qaeda, al-Shabaab Pledge Allegiance…Again,” Somalia Report, February 9, 2012. Mohammed Odowa, “Al Barjawi Assassination Widens Rift in Shabaab,” Somalia Report, January 23, 2012. “Al Qaeda Commander Killed in Somalia Blast,” The Star, January 24, 2012. It is worth noting that in the East Africa martyrs biography about Berjawi, Fazul’s death is characterized as being a “planned” assassination, suggesting it was not an accident. This detail is based on a Twitter conversation between this author and the @abumamerican Twitter handle, April 19, 2013. Omar Hammami is believed to be the owner of that handle. “Godane Loyalists Reportedly Execute al-Shabaab Leader Ibrahim al-Afghani,” Sabahi, June 28, 2013. Hassan M. Abukar, “Somalia: The Godane Coup and the Unraveling of al-Shabaab,” African Arguments, July 3, 2013. This could certainly be true as al-Berjawi clearly was a focus of Western intelligence efforts. J1 v. The Secretary of State for the Home Department. Duncan Gardham, “Airlines Plot: Al-Qaeda Mastermind ‘is Still Alive,’” Telegraph, September 10, 2009. Dominic Casciani, “Top Extremist Recruiter is Jailed,” BBC, February 26, 2008. According to court documents: “In October 2009 Berjawi, Sakr and Rahman travelled from the UK to Somalia for the purpose of terrorist training and terrorist activity in Somalia. The appellant knew in advance about the travel plans of those three men and the purpose of their expedition.” See ibid. Confirmation of support is provided through a separate court document: J1 v. The Secretary of State for the Home Department, “Deportation – Substantive (National Security) – Dismissed,” 2011. It emulated the Taliban in the sense that it was an Islamically driven movement seeking to restore order to a land overrun by warlords. Most publicly, this has been seen in the struggle around the American Omar Hammami whose writings and online activity on YouTube and Twitter highlighted the disagreements between the various factions in al-Shabab, but traces of it can also be found in Bilal al-Berjawi’s tale. Mike Pflanz, “White Widow Samantha Lewthwaite ‘was Plotting to Free Jermaine Grant,’” Telegraph, March 13, 2013. It is worth noting, however, that it was her new husband, Habib Ghani, who died alongside Omar Hammami. See Whitehead et al. Michelle Shephard, “Probe Focuses on Canadian as Shabaab Leader of Somalia Courthouse Attack,” Toronto Star, April 15, 2013. A new piece for CNN, this time looking in a bit more detail at the group Boko Haram to try to understand what lessons can be learned from nearby al Qaeda affiliates and fellow travellers to see about its trajectory as an global terrorist threat. My sense is that it is unlikely to start actively launching attacks abroad, but I suppose never say never. I cannot pretend to be an expert on Nigeria, but a detail that stood out for me was that it turns out that only about 10% of Britain’s Nigerian population is Muslim (14,000 in the 2001 census) – which somewhat reduces the potential danger to the UK at least. A project I would be very interested in seeing would be a closer examination of what exactly Nigeria’s diaspora population looks like by tribe and religion. Any pointers anyone has come across would be very interesting. After an explosive festive season that spilled into the New Year and growing stories of increased connections to other regional networks, Nigerian group Boko Haram is likely to be one of the main focuses of attention for counter terrorism experts in this coming year. While definitively predicting whether it is going to metastasize into a global threat, or remain a regional one, is something dependent on many variable factors, some lessons from other regional violent Islamist networks can be drawn to understand better the general direction Boko Haram is going in. Three groups are particularly useful to look at: Al Qaeda in the Arabian Peninsula (AQAP) in Yemen, al Shabaab in Somalia and al Qaeda in the Islamic Maghreb (AQIM). All three are groups that have a clear globalist violent Islamist rhetoric and varying degrees of connectivity with al Qaeda core in Pakistan. While Boko Haram seems to increasingly sound like a global jihadist group, it has thus far only established connections with regional al Qaedaist networks – specifically, members have admitted to training in Somalia and American military officials have pointed to links with AQIM. Of these three groups, the one that has repeatedly posed a direct threat to American homeland security is AQAP, the Yemeni based al Qaeda affiliate that hosted Anwar al-Awlaki, the infamous Yemeni-American preacher. Established by individuals who had served directly with Osama bin Laden and had been involved with al Qaeda since its early days (and some who have been in Guantanamo) it has been an important part of al Qaeda’s global strategy. Documents found in bin Laden’s layer point to the organization asking him directly about management issues and there is evidence of direct communication between the groups about operational planning. The group has inherited al Qaeda core’s obsession with the United States, something demonstrated in intercepted emails between Awlaki and a contact in the UK that show Awlaki telling him to prioritize the United States, rather than the United Kingdom, as a target. And this obsession has been given operational support by a steady flow of young Western recruits, drawn in part by the groups English-language media campaign. These recruits both provide the network with operational assets they can use to strike the West, but also help feed its anti-Western rhetoric, spurred on as they are by a deep rejection of the society that they came from. All of which helps explain why the group is seen as a major threat to the United States and why the group continues to try to launch attacks, all the while also trying to consolidate its position in Yemen. The group has also been shown to have strong links with al Shabaab in Somalia, another regional network with links to al Qaeda core, but that has so far not demonstrated the same eagerness to launch attacks directly against the American homeland or in Europe. Similar to AQAP, al Shabaab has some leaders who have been quite close to al Qaeda core and it has hosted a number of senior al Qaeda members. But the majority of its leadership has emerged from the long-standing inter-tribal conflicts that have dominated Somalia’s recent history. It has also been something of a draw for young Westerners seeking the thrill of fighting on a jihadist battlefield, and some of these young people have tried to launch attacks back home – though not at the direction of Shabaab. But while it may have launched attacks in Somalia against Western targets, and seemed to be involved in plots to attack Western targets regionally (including recent stories of using western recruits for plotting in neighboring Kenya), there is currently little evidence that the group has directed attacks targeting North America or Europe. Instead, it seems as though the group has chosen to avoid such direct provocations, most likely to not distract from their regional interests and bring too much attention to them from the American security machine. The focus is on consolidating power in Somalia, in many ways something that is merely an extension of the civil war that has been raging in the nation for decades. It clearly has the potential to launch direct attacks in the form of support networks sending money and fighters in Europe and North America, but has chosen not to deploy them. And finally, there is al Qaeda in the Islamic Maghreb (AQIM), another group with direct historical ties to al Qaeda core as an evolution of a group that was born from the community of Algerians who had served in Afghanistan against the Soviets. Individuals linked to previous iterations of the group have been involved in attacks in France and individuals linked to the group continue to be found in Europe. But it has been a long time since it launched an attack, or was linked to an attack, in Europe. Instead, there has been a steady patter of attacks against north African security forces and repeated kidnappings for ransom of Westerners traveling around the region – making the group seem more of a regional criminal-terrorist network that international terrorist organization. The group may receive some sort of a boost in the wake of the Arab Spring in terms of equipment and there are stories that al Qaeda core is focusing on the region as a new field of operations as pressure in Pakistan continues, but none of this has yet translated into much evidence of a large out-of-area terror campaign. So where would Boko Haram fit into this spectrum? It lacks much evidence of direct contacts with al Qaeda core, meaning that it is unlikely to have directly inherited al Qaeda’s obsession with attacking America. Instead, it seems to have developed out of the long-standing tribal and north-south tensions in Nigeria. It has been cloaking itself in an anti-western rhetoric – its name translates as “western education is forbidden” – and made contact with other regional Islamist groups that shout loudly about global jihad, but its focus remains the sharia-ization of Nigeria. Of course, all of these factors can change, and the attack last August on the U.N. office in Abuja showed a level of technical capacity and an interest in targeting foreigners. But this does not necessarily mean the internationalization of the group’s fight. The attack could be interpreted as a way of drawing attention to the group and its struggle – something key for an organization using violence to advance a political cause. The world press has become sadly used to massacres in Africa, so in order to draw attention, groups have to choose westernized targets. In this light, it therefore seems that Boko Haram is most like al Shabaab, though at a much earlier stage. Like Shabaab, it grew out of local tribal conflicts and tensions adopting Islamist garb, and it has so far avoided direct confrontations with the west. Unlike the Somali group, it lacks direct connections to al Qaeda core. While it is clearly angry at the west, it does not yet seem to have made the specific strategic decision to expend its efforts in launching attacks in Europe or North America. It is possible that like Shabaab, in time Boko Haram might expand its operations regionally and again against foreign targets – but this should be seen within a regional context rather than a globalist jihadist framework. Finally, unlike all of the other groups, it also lacks a notable international support network sending money and fighters, but as security agencies have already worried, the large Nigerian diaspora internationally might change this. For Western security planners it is a hard game to judge. While it would be surprising for the group to launch attacks against the west, if it continues to grow and is able to tap into the globalist jihadist narrative it will draw more attention to itself and its international networks will develop. This will expand the pool of people being radicalized and will provide al Qaeda or affiliate networks with new potential networks they can capitalize upon to advance their globalist cause. And if the group is able to establish a safe territory where it can impose its will and shariah, it is possible that it could turn into a haven for jihadists being hounded by drone strikes and western intelligence elsewhere. This all poses a threat, but too much direct foreign attention to the group will both increase the groups credibility and also bring them into direct confrontation with western forces – something that might in itself accelerate a shift towards globalist violence. So far, however, the only Nigerian to be prominently involved in terrorist plotting against the west was Umar Farouk Abdulmutallab, the British educated Nigerian student who was dispatched by AQAP with a bomb sewn into his underwear. And there has been no evidence that he was connected with Boko Haram. Instead, the group has focused on causing chaos and massacring people in Nigeria, something that is terrible but must clearly be focused on in a regional way rather than as part of a global anti-terrorist struggle. This is a piece that I have been cogitating about for a while, trying to find out more information about the chap. Unfortunately, most of it is in Somali, a language I confess to not understand. Nevertheless, he struck me as interesting given his history as a Somali leader who had lived until relatively recently in London only to then reappear alongside the al Shabaab leadership at their event in May this year in honour of Osama bin Laden’s death. Luckily, I was able to connect with AR of the excellent Somali War Monitor site who was able to help me find some more sources and the two of us pulled this short bio of Abdulcaadir together. The actual article is unfortunately behind a firewall, so I cannot simply post it here. But in the meantime, here is a hint. The appearance of Sheikh Abdulcaadir Mumin, alongside al-Shabaab’s senior leadership, in May 2011 at the group’s official press conference acknowledging Osama bin Laden’s death was something of a coming out for Mumin. Largely unknown outside the Somali-speaking community, he has until now lurked in the background of overtly radical Somali circles. Previously a prominent feature on the London Somali scene, Mumin, first appointed as the head of propagation for the Banaadir administrative region and its capital Mogadishu, appears at present to have risen into a senior position as one of al-Shabaab’s key theological guides.